However, I want to share this wonderful, just IN, case that my Father gifted me for Christmas! Do you remember the Feathered Journey of the 1937 featherweight? The case that arrived with it smelled, and looked like it was from 1937. It has that distinct horse glue mixed with basement storage aroma and was only a little war-torn. I wonder what its story was in the years of WWII? I wasn’t feeling brave enough to tackle this one, but my dad thought he would like to have it. I thought that he might fix it up for my mom’s featherweight. However, he surprised me this holiday when he asked me, “how shall I stain it?”. Look at the results! How awesome is this to store and protect my green beauty? Thank You, DAD! You never cease to amaze me. Painstakingly remove all of the old covering from the box. Do not remove the riveted clasps, just do your best to remove the covering around them. Remove the old broken handle. In this case, the handle was not in any condition to save, but it was noted that the handle itself did have a curved steel plate to make it sturdy. He sanded the inside and outside of the case to remove as much of the old glue as possible. This gets rid of most of the old smell. In this case, he stained the box green. Several coats were required as the old wood (with glue residue) did not soak up the stain like new wood. My dad had an old, sturdy, red leather purse that had some awesome hardware. He was able to use the leather, hardware, and straps to create a new handle and a strap for the case. He used some nylon strapping to create a cradle for the box and attached the long handle to that. The inside was another story. The machine was a glove fit to the box, so he covered the bottom, sides, and top with felt so that the machine doesn’t get scratched when lifting and lowering it from the box. The pedal is too large to fit on the left side of the machine, but I will be able to store the manual or some tools during storage and transport. 8. Finally, he added a personal touch by hand painting Celtic scrolls to match the silver singer scrollwork on my machine! Woo Hoo! It is sew pretty. Now, as if I wasn’t the luckiest girl in the world already, my mom iced the cake. She gifted me a handmade “sew-together-bag” in Singer themed fabric to hold all of my tools and spare parts for the machine. These babies take some patience. It is beautiful! I am so grateful to have such talented, loving parents. These are such wonder.full gifts from the heart and make my machine even more special for my parent’s involvement in the project. I will never forget. 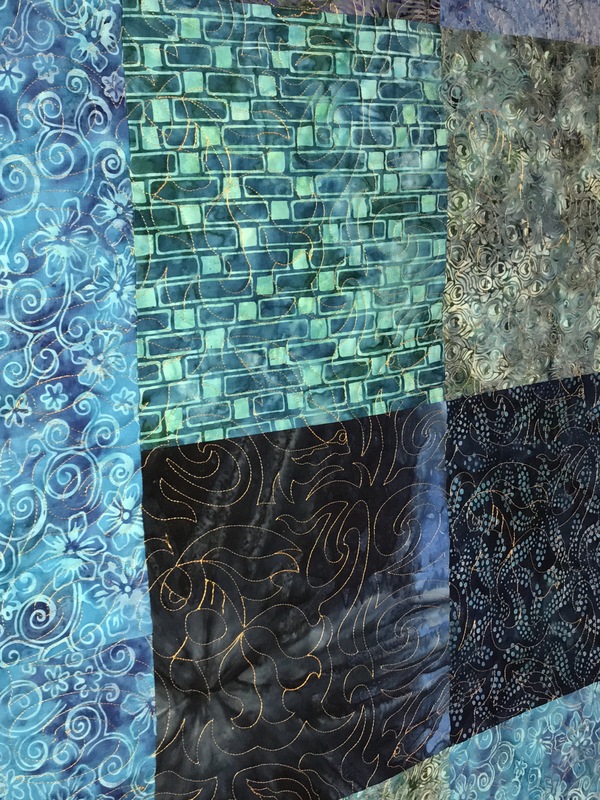 What is the history of quilt week? How did it begin? 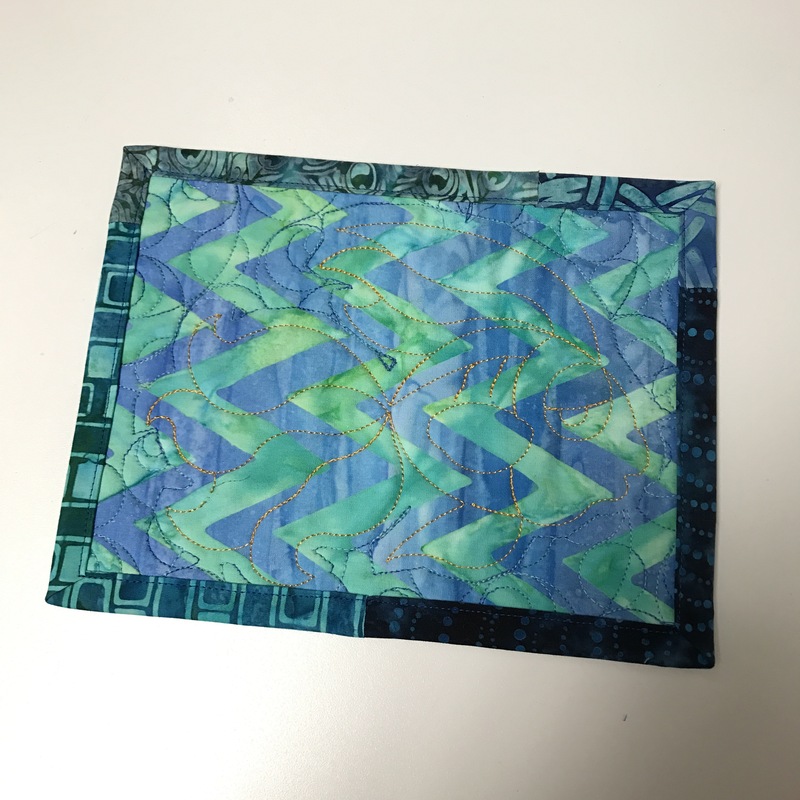 A bit of research might lead you to the American Quilter’s Society website. This is what I learned. AQS was established by Meredith and Bill Schroeder in 1983. The first Paducah, KY quilt show was held in 1985! It boasted 5000 visitors. Since then it has grown to around 37,000 visitors. 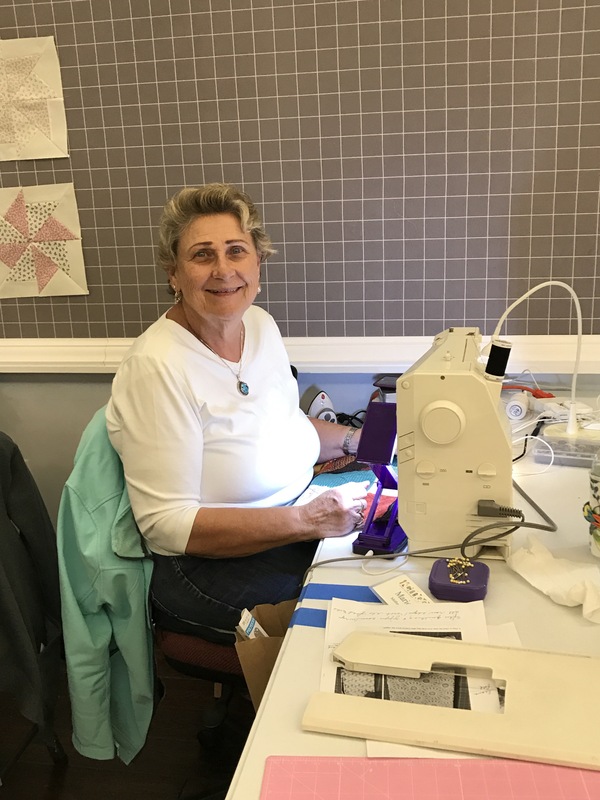 This quilt show has been running for 32 years! Now, do the math. If each visitor is there for 2 days minimum, spending $100 or more a day, then the economic impact is 7.4 million dollars. 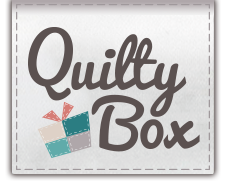 Other sites have indicated that is is more like an economic impact of about 25 million for quilt week. WOW! During that time, AQS has expanded to other states as well. 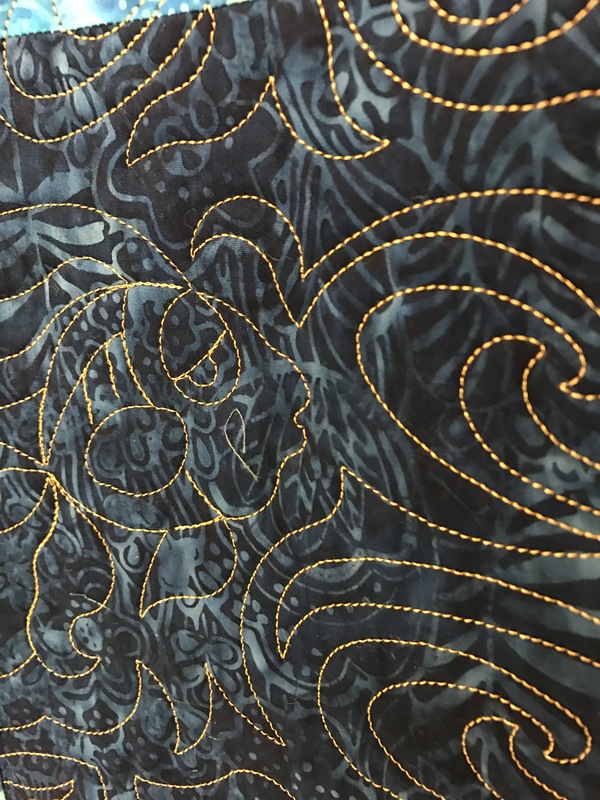 Every show boasts a plethora of gorgeous fiber workmanship from all over the world! 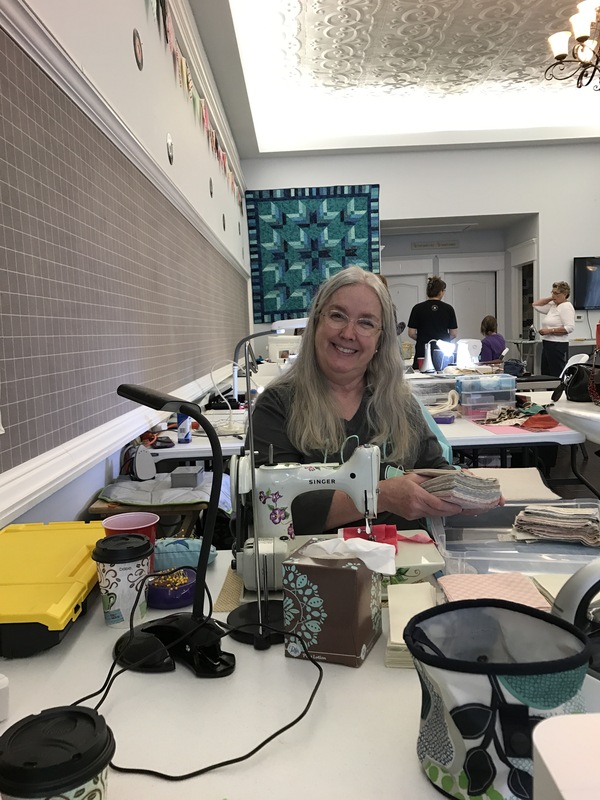 My friend Kayla Walker and I decided to meet in Paducah this year for a week of bucket filling exploration of the legacy quilting show. We were “all in” for the week and stayed at the lovely Paducah Inn bed & Breakfast. It was only about 1 mile from the historic downtown area. Since we booked less than a year out, ALL of the hotels were already 100% booked. The B&B had a couple of openings, but only if you were willing to book for the entire week! We figure a week might be a stretch, but we would give it our best! This is the home that we stayed in. Our room was upstairs in the “Presidential” suite. It tickled me how the home was set up, for I grew up in a house that must have been from the same time period. Take a look at my childhood home (courtesy Google Earth). The ceilings are a lot lower in Kansas! It was more than just shopping and quilt eye candy for us. We took the week one step further, and set up our machines at the B&B! 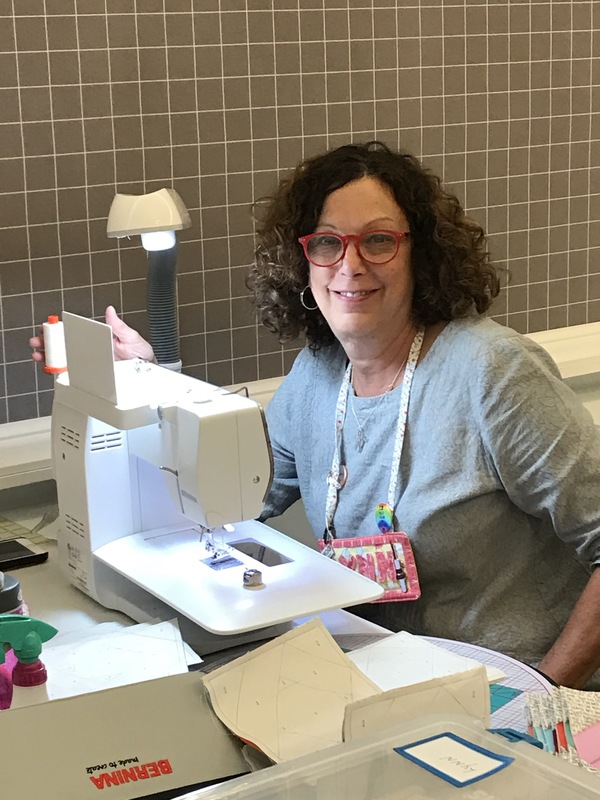 This allowed us to spend some great sewing time together in the evenings and to spend some time planning our retreat we are hosting later this year. She weathered the years and the miles. She has a new look. With some adjustment and a few new parts, she’s ready for the big reveal! Now, before you start singing the Stevie Wonder single “Isn’t She Lovely”, let me tell you about some of the special needs she had as well of some modern features I added! The machine that I purchased had finish issues and was missing all of the decals on the front and middle of the machine. Water damage perhaps? I purchased new reproduction waterslide decals in silver from Keeler Sales in Lakeland, Florida. They have lots of decals for sewing machine restorations. My friend Teresa knows a machine angel. He works on and helps restore vintage machines. I requested that it be stripped and refinished in the color of my first truck. You can look up automotive acrylic enamel paint colors online. I think that I used something like Auto Color Library. You can search colors by year, make and model. He did a beautiful job, complete with a clear coat over the decals. When the machine arrived, it had a bent spool pin. This might have occurred during shipping. These pins are press fit, and with some minor adjustment using a rubber mallet, protective batting, and a vice, the spool pin is now straight, and I have added a spool pin spring to help. Old machines have old rubber feet. Some of hers were missing, or so smashed down or brittle, that they were worthless. I was able to easily locate replacements for both my machine bed and foot controller at The Singer Featherweight Shop. While I was there I also picked up some reproduction screws, new felt for the oil drip pan, and pin, and some awesome new accessories! The oil drip pan was this machine’s main source of musty “old” smell. It is an easy replacement and I recommend doing it first thing to make it more pleasant to work with your machine. Mine needed some motor grease, oil and general cleaning. There are great videos on how to do that at The Singer Featherweight Schoolhouse. Note: I missed the little gem of advice when I replaced mine. Be SURE to do this! To get the new throat plate to work, I had to adjust the springs that create the notch. I’m guessing that the new plate sits jsut a hair higher than the original, or that the springs are slightly narrower. When I first tried to use it, the bobbin position finger (A2) slipped out of the notch. IMPORTANT — When the throat plate is removed for cleaning the stitch-forming mechanism, etc., make certain, when replacing the throat plate, that the position finger (A2 in figure image above) of the bobbin case base enters the notch (B2) of the position plate attached to the underside of the throat plate. Now, for the fun pieces. Add a little bit of cleaning and polishing, and she is like new and stitching along a perfect straight stitch for piecing and retreating from computers! Now, she is all ready for fun! Maybe she will travel with me to Paducah for a warm up. Special thanks to my friend, Teresa, for all her help! Teresa, if you are reading, please share these photographs with your machine angel for me! He does beautiful work. 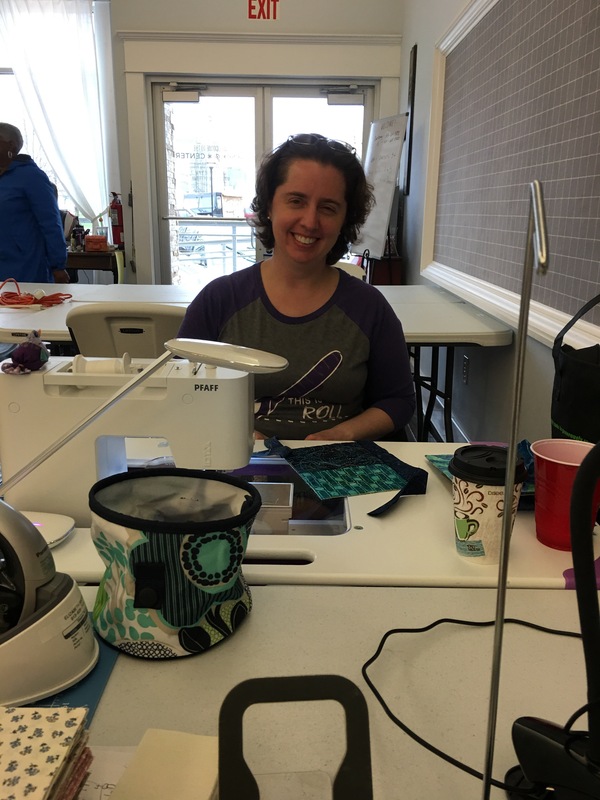 I am typing this post from the KCMQG retreat at Missouri Star Quilt Company. Yeah! Look at the wonderful design board that have been installed for retreaters. 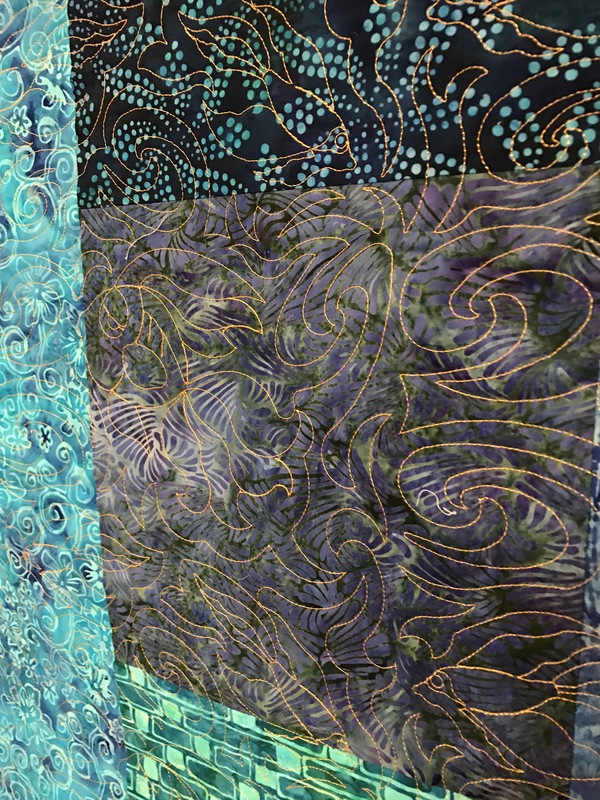 By tomorrow they will be full of beautiful fiber artwork! Every time I retreat, I meet so many wonderful people. Everyone has a story and their projects are extensions of that story. I just had to share the smiles of some of my new friends. 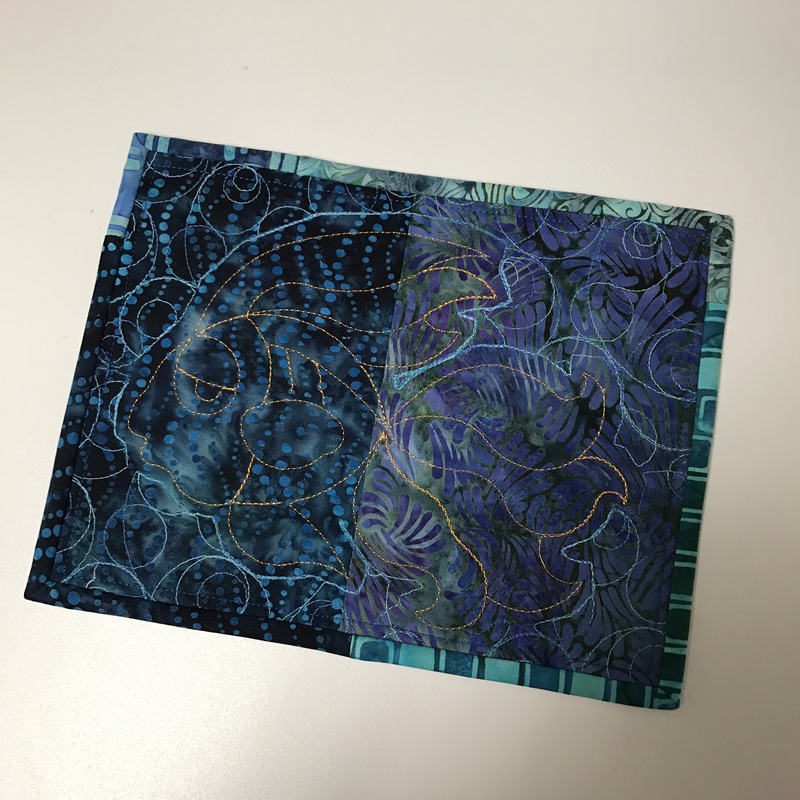 What was delivered was a disposable grocery bag full of batiks. 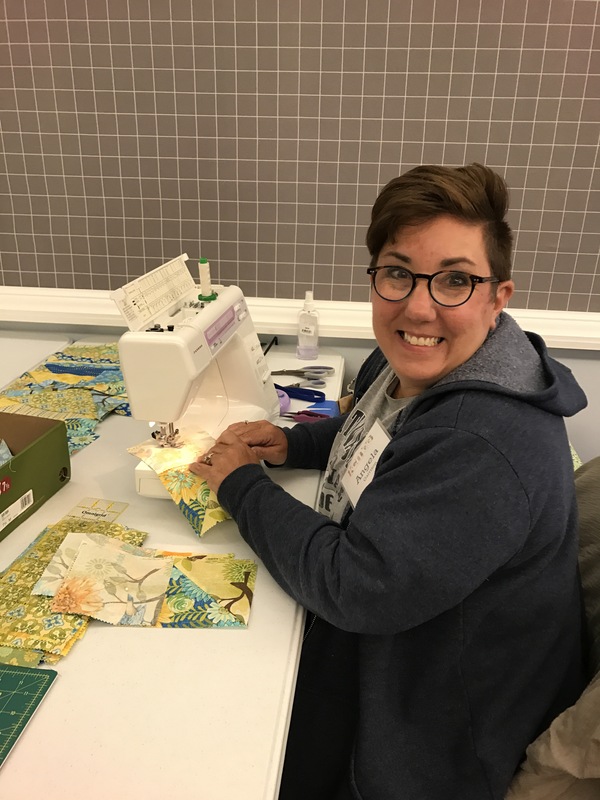 Later when I sorted through them, I discovered that the scraps consisted of half paper pieced blocks from a Judy Neimeyer quilt and small accompanying yardage. SCRAPS? What’s the story? Well, I’m sure we have all had projects that, part way through, just stopped being fun. Either something goes terribly wrong, or it just doesn’t encourage us to continue with it. If that ever happens, by all means, give it to a friend! 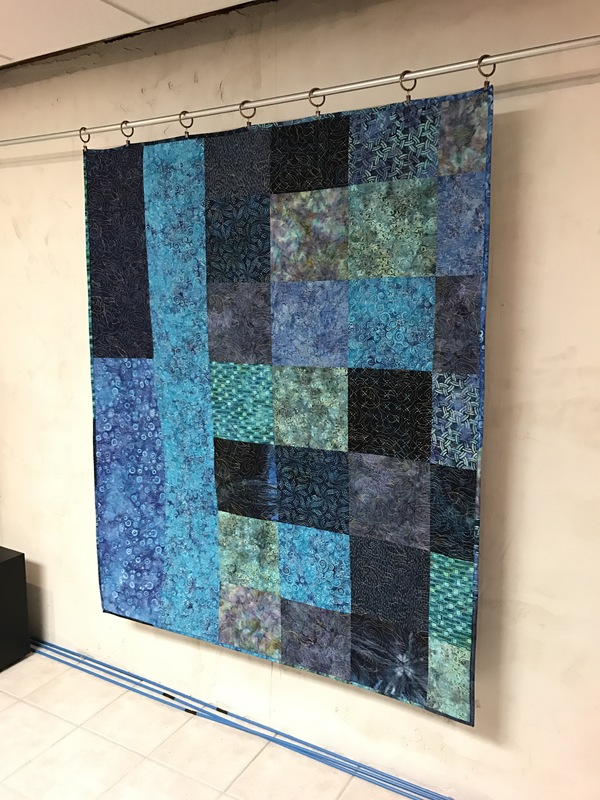 This quilt is the result of those scraps. I just couldn’t bear to see all of the beautiful paper piecing go to waste. 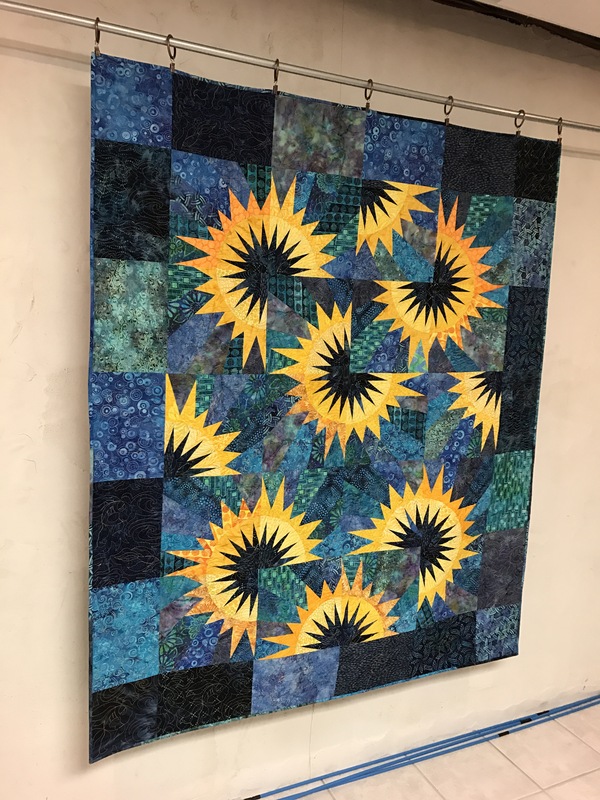 Curved piecing is cool with me, so I salvaged all that I could and came out with an alternative layout for the pattern and added a border. and I still have fabric left! Those are my kind of scraps. 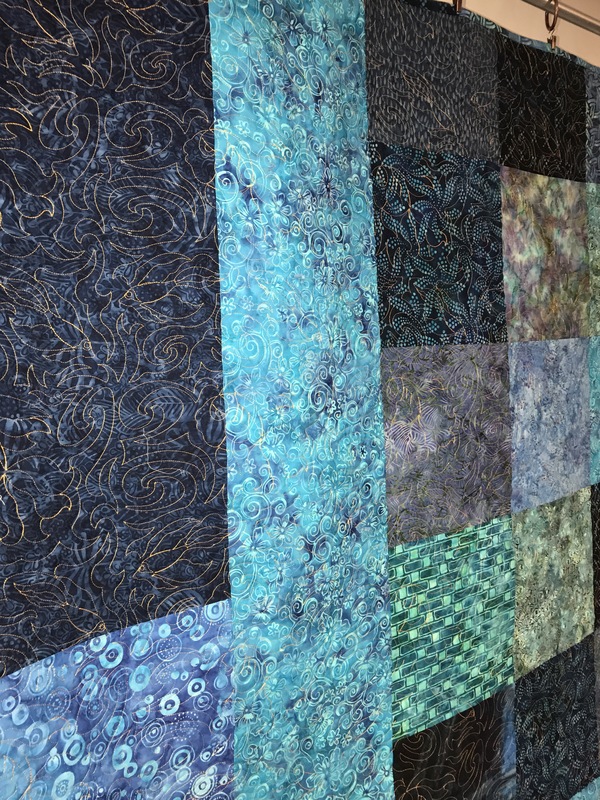 So my friend, I will be sending your scraps back to you, with the watery depths of fabric quilted with golden fish. It is appropriate I think, for the Goldfish in Chinese legend is a symbol of surplus and wealth, and a GIFT of goldfish is a blessing in the hope of good fortune. Send me your scraps anytime! I feel rich having a friend like you.